Originally published on The Energy Collective. For years we have heard about the coming electric car revolution. In fact, there is a strong argument that beyond their actual cars, the other major contribution of Tesla has been to get people talking excitedly about electric cars, bringing massive attention to the market. One should not underestimate the power of this attention. The right attention, or the wrong attention, moves billions of dollars every day. That said, now that the electric car revolution finally seems to be ramping up, I can’t help but notice there is another transport segment ripe for electric revolution that lacks much attention at all: big vehicles. From garbage trucks to buses, it’s time we start talking about electrification. In fact, it is easy to argue this is where the electric transport revolution should have begun. The big, smoggy, diesel end of the transport spectrum. Sure, electric trucks and buses may not spark the imagination quite like Tesla Roadsters, but there are three aspects of big electrics that make them as, or even more, compelling than small electrics: (1) outsized impact; (2) clearer economics; and (3) with the right attention, the big vehicle market could even “flip” to electric sooner. First, to achieve disproportionate impact, you must target a disproportionate contributor to the problem. While medium and heavy trucks account for only 4% of America’s +250 million vehicles, they represent 26% of American fuel use and 29% of vehicle CO2 emissions. If you are looking for a way to address more problem (foreign oil dependence, climate change, air quality, you name it) with less solution, big vehicles are it. If you want to have outsized impact, don’t convince a Prius driver to go electric, electrify a garbage truck. Second, transportation will only go electric with compelling economic incentive. If the two most immediate financial benefits of electric vehicles are lower maintenance costs and fuel savings, then it makes sense the more maintenance a vehicle requires, and the more fuel a vehicle consumes, the greater the economic incentive to electrify it. Lumbering fleets of conventional trucks and buses require a lot more maintenance and consume a lot more fuel than passenger cars. Conventional garbage trucks can require brake replacements as often as every 3 months, while the regenerative braking enabled by an electric battery can significantly decrease such wear and tear while saving fuel. Speaking of fuel, an average American driver burns 525 gallons of fuel a year. I did the math on my own driving consumption in the past year and it amounted to only 200 gallons (but that is for a city driver with a car getting 40 miles per gallon). A garbage truck, by comparison, may only get 2-3 miles per gallon, and may consume 14,000 gallons a year, roughly 25 times more fuel than an average American car, and up to 70 times more than a lightly used, efficient car like mine. With 25-70X more fuel consumed per vehicle, the per vehicle fuel savings opportunity between big and small vehicles is no contest. Electrifying big vehicles simply makes more economic sense. Wrightspeed, one of the early leaders in the nascent big electrics market, develops hybrid electric drivetrains for trucks and buses. They claim that between fuel and maintenance savings, their hybrid electric drivetrains can offer ~$60,000 in savings per year per truck. Wrightspeed recently announced they will retrofit 16 Ratto Group waste hauling trucks. The Ratto Group themselves stated an expected project payback of just 2-3 years, suggesting either $60,000 in annual fuel and maintenance savings is an accurate estimate or Wrightspeed is selling their hybrid electric drivetrains for next to nothing (which is unlikely). Either way, the economics are clear, and the compelling economics of electrification are not limited to garbage trucks. Additional big vehicle operators are recognizing the potential savings of electrification, and have begun testing the waters. Wrightspeed has also announced deals with FedEx for delivery trucks and even a New Zealand bus company. Finally, one can make the argument the big vehicle market could “flip” to electric sooner than the small vehicle market. Why? Because beyond the compelling economics, there is also the factor that while each individual consumer has their own complex array of priorities when making a car purchase (think of those who still, and will always, irrationally cling to incandescent bulbs), commercial fleet operators are more squarely focused on performance and cost. Does it do the job? Great. Will it save money? I’m in. It is true institutions often move slower than individuals to test new technologies, but once the market begins to move, and those technologies are accepted as proven, institutions and fleet operators will follow the economic imperative, which can bring about a rapid wave of change. One example of this dynamic can be observed in a recent deal announced by Proterra, an emerging leader in the development of fully electric buses. Last year, King County Metro, of Washington, ran a pilot with 3 all-electric buses running along dense, priority routes, including the Microsoft campus and downtown Bellevue. 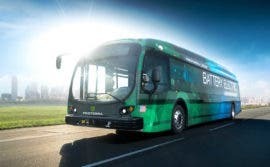 Following the successful pilot, King County Metro announced they will acquire 120 all electric buses by 2020, with as many as 73 provided by Proterra. The big electrics revolution will likely be chunkier than the small electrics revolution. Bit by bit, then in big chunky pieces. The sooner it becomes more fashionable to talk about big electrics, the sooner it will become more fashionable to invest in big electrics. Then those chunks will get chunkier, and happen faster. As of January 2012, just 4 electric car models were sold in the US. Today, that number has risen to 30, and is rising fast. Electric cars are already being swept up by market forces and continued competition will drive innovation and lower costs, accelerating the virtuous cycle. Exactly how much of the momentum behind electric cars has been driven by the right attention is difficult to know, but it is naive to think it has been insignificant. 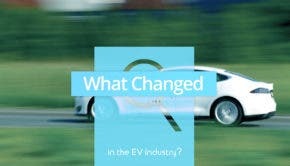 The electric car revolution is now in a position where it will move forward whether we continue to talk about it or not. As such, it’s high time we start talking about big electrics, because they offer a compelling case for an electric revolution of their own.